Why Choose Total Home Cleaning? We carefully selected a combination of green and traditional products for a super clean that is safe and effective. We are also good stewards of mother nature. Unlike corporate franchises, we thrive because of our location, not in spite of it. Your home is your most personal space and your biggest investment. We invest heavily in training to deliver the highest level of professionalism and care. 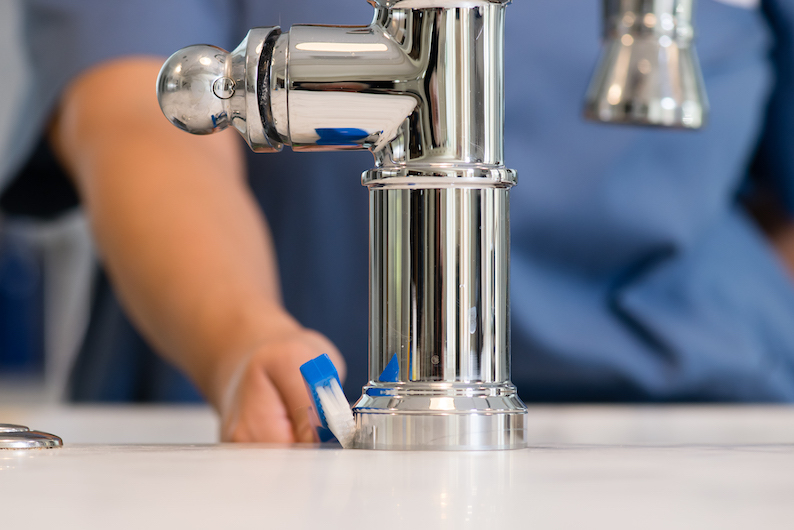 We’ve been color coding tools since the start to keep germs from hopping between areas. Add pro vacuums with an advanced ProLevel Filtration and the result is healthier air in your home. You are shopping for a cleaning provider and are unsure where to begin? How much does a first cleaning with Total Home Cleaning cost and what is included? Look no further – we have a list of sample rates for different home sizes in New Jersey. You probably know what you want and need a cleaning service to do in your home. It is what “you don’t know that you don’t know” that is likely to create issues. In this guide learn how to protect your biggest investment – your home, when hiring a cleaning service. NJ cleaning company Total Home Cleaning is no stranger to positive attention from the press. We treat your home like you do. We go beyond the surface sparkle: Our definition of clean is a healthy clean throughout. Our company video will tell you more about how we are different and why you should choose Total Home Cleaning for your recurring, as-needed, move-in, move-out and special occasion cleaning needs. That’s right, Martha Stewart! We are so proud to be selected by Martha Stewart’s team to take on a project to organize and clean a home for Martha’s show Rescue Me, Martha. It’s not everyday we get to do work for a successful multimedia lifestyle entrepreneur. Total Home Cleaning was part of the transformation: Our team worked with the George to the Rescue crew to organize and clean the home of a deserving family while George and crew worked their magic. We were invited back to work on other projects. Fantastic service. On time, pleasant, thorough. Any issues get quickly solved. Been using these people for at least 10 years. Have had a great experience with Total Home Cleaning over the years. Easy scheduling, great service! Best cleaning service ever! Our house has never been so clean. They were completely thorough and even put sheets on the beds we had not made yet. They moved everything and cleaned under everything. It was the best experience. My wife is allergic to heavy smells and they did not use any aggressive chemicals. I would recommend to anyone. They even squeezed us in the same day. Total Home Cleaning is proud of the partnerships we’ve established and the recognition from our clients on top review sites.